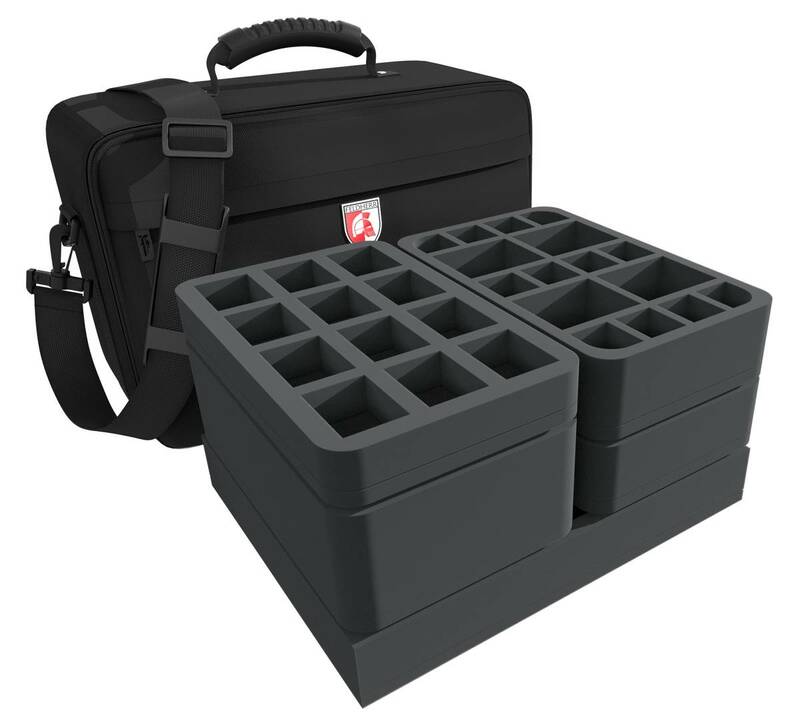 You're looking for a convenient way to transport your heroes, monsters, and the other game materials? Then our MAXI bag for the Super Dungeon Explore core game is the perfect solution for you. 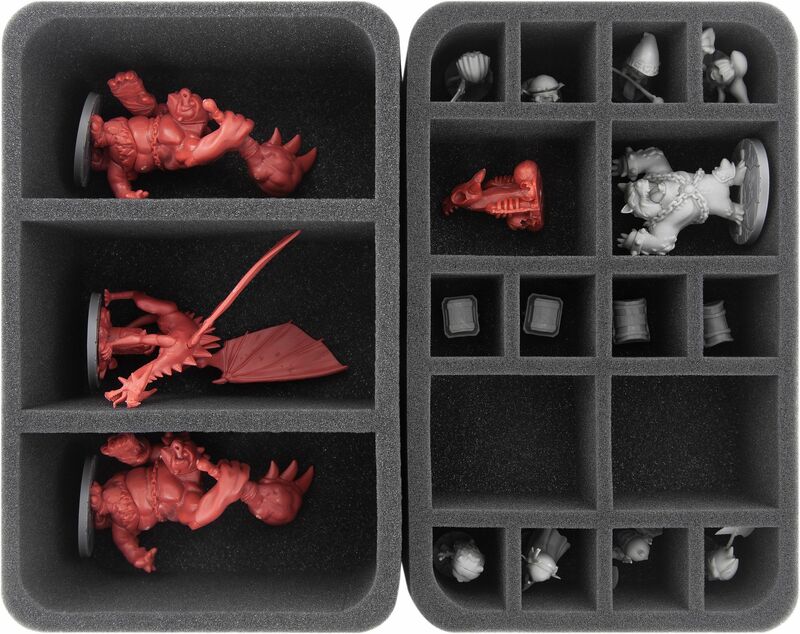 All miniatures find a safe place on 4 Half-Size inserts. Your heroes, monsters, treasure chests and all other figures are padded softly here. Wrapped in soft foam, the sensitive parts of the figures are optimally protected from damage. The swords remain pointed and the knives stay sharp. A Full-Size foam tray is provided for the game material. 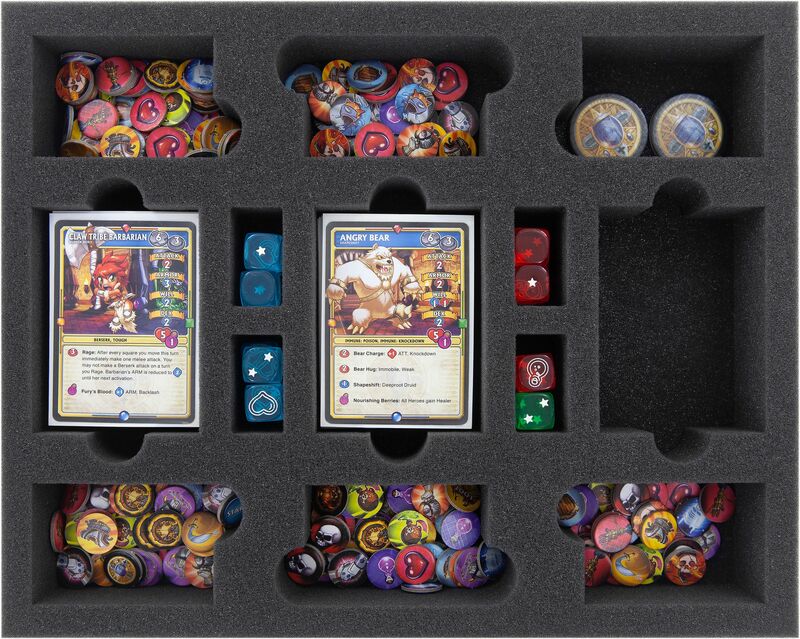 Tokens, cards, dice and all other accessories can be stored neatly and clearly here. 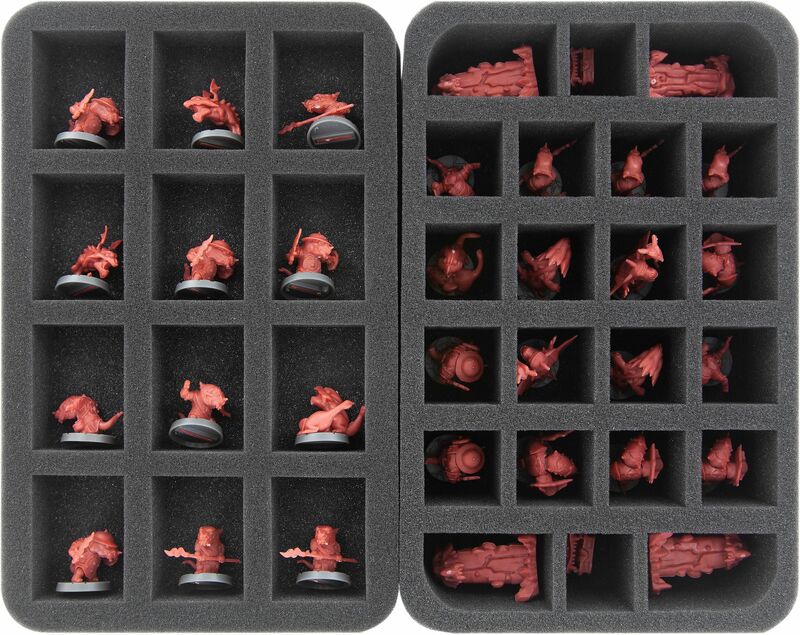 Finally, the supplied foam topper ensures that all miniatures are completely surrounded by foam and that the figures of the upper insert do not fall out of the mat or rub against the fabric of the bags during transport. The cardboard tiles (Dungeon Tiles und Adventure Tracker) have to be transported separately. The comfortable MAXI bag is made of particularly hard-wearing material. 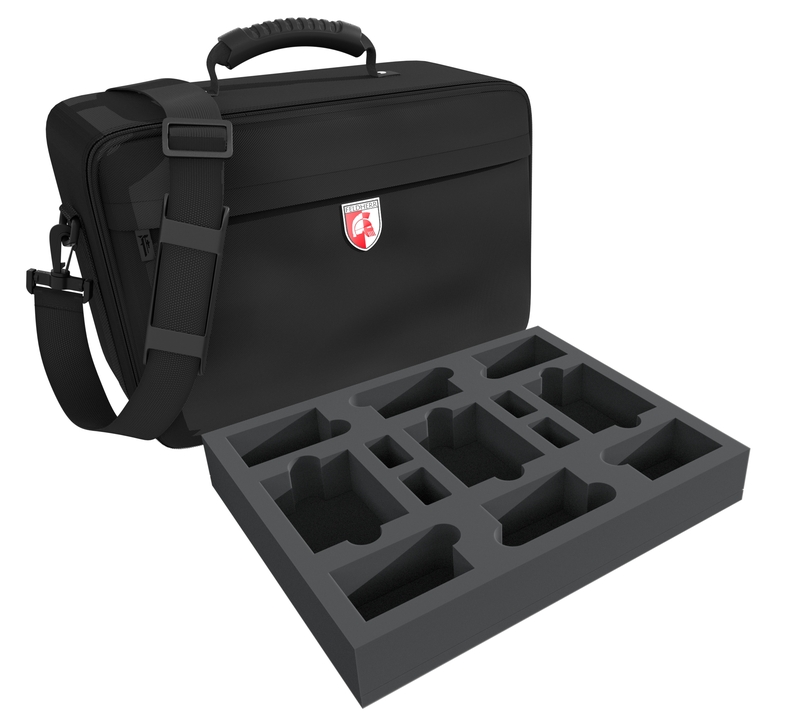 Padded side panels and a reinforced bottom ensure that your miniatures are optimally protected from external influences even when transported by car or train. 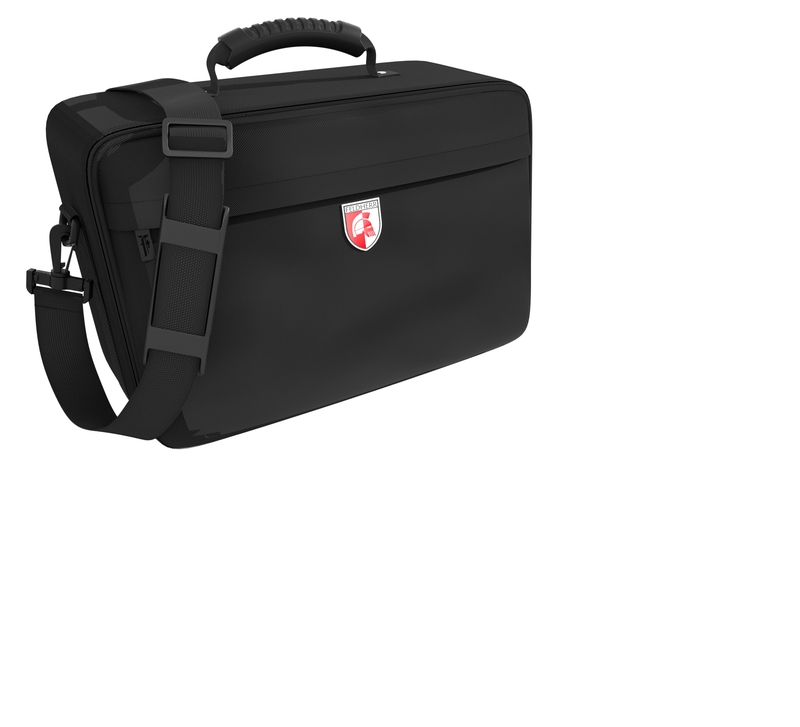 In addition to the large main compartment, the bag has a smaller pocket with a zipper at the front. 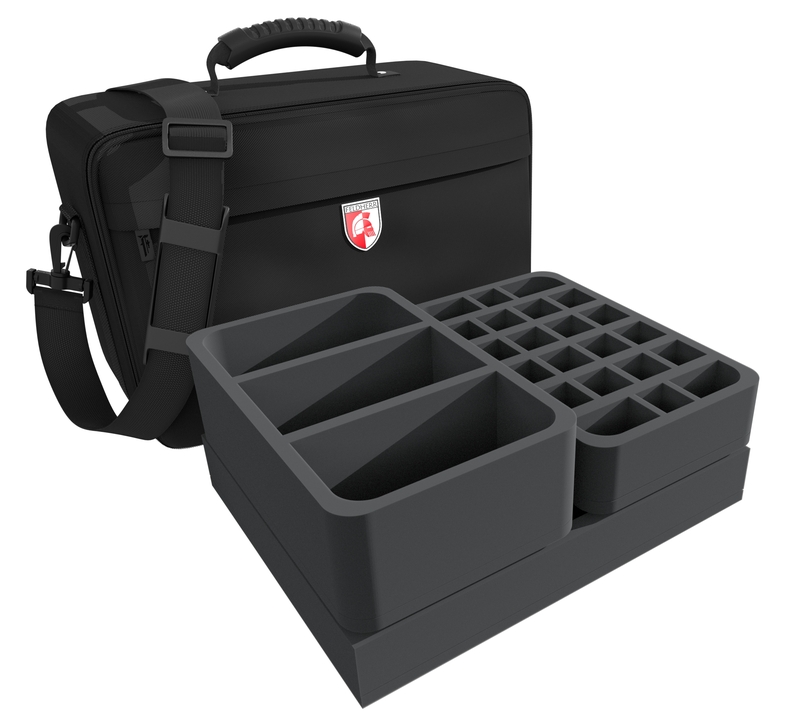 Here you might store rulebooks and writing materials, for example. Each of the 12 compartments of HS035I012BO is 54 mm long x 41 mm wide x 25 mm deep. Each of the 3 compartments of HSDF085BO is 80 mm long x 152 mm wide x 75 mm deep.